Wireless communications with aircraft has been used for different purposes: to communicate weather and landing informations with airfields, to share results from reconnaissance missions, to guide airplanes in strategic missions and for communications board-to-board between aircraft of a sky patrol. In the earliest years, wireless communications have been used only to transmit messages from air to ground, e.g. to transmit informations of a reconnaissance patrol to ground or to direct artillery fire to the target. For this purpose, spark transmitters were in used onboard Swiss military aircraft after 1920. The reception of signals from the ground on an aircraft was impossible, as detectors could not be used onboard and the faint signals in the headphones were not loud enough in the very noisy surrounding behind the aircrafts engine. In case, informations had to be transmitted from the ground to the pilots, textile aircraft signal flags were in use: coloured flags of material spread out on the ground near an airfield directed the airplane to another direction or gave the signal for return to base or mission abort. 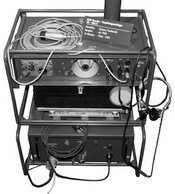 After 1930, wireless transmitting and receiving equipment saw use on board of Swiss military aircraft. In the beginning, only double seat aeroplanes were equipped with wireless equipment, as the second airman acted as wireless operator, observer and gunner. 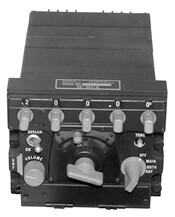 Direct communications with the ground troops of the army was possible as all wireless traffic relied on shortwaves and the ground troops used equipment with the same frequency range. 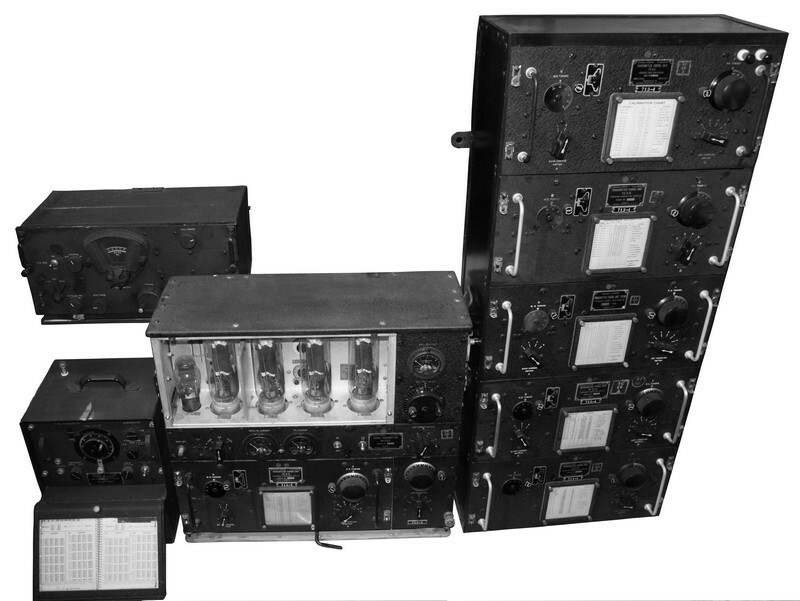 Shortly after World War II, aircraft communications were moved to a new frequency band which had not been in use before, as the shortwave bands were too crowded and interfering signals caused security problems to military and civile aviation. 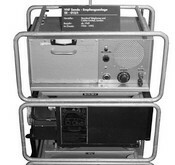 Ground to air and air to air communications were moved to the newly assigned Air Band from 100 - 156 MHz in the VHF band. Because of this, new equipment was used not only on board of civilian and military aircrafts but also new ground station equipment was necessary. In the first years after WW II, there was much improvised equipment used by the Swiss Air Force. They used an aircraft set in a metal rack, connected it to a mains power supply, hook up a microphone and used sometimes ven a pilot's operation panel to construct a simple air traffic ground station. In the sixties, military air traffic has been shifted to the UHF frequency band from 220 - 400 MHz, so new wireless equipment had to be acquired together with the new aircrafts. In the early years, all flight operations were directed from mission control over shortwave communications. For this purpose and for alert transmissions, a high power shortwave transmitter called "Sender Emil" was in use. After the ground air communications had been reallocated to the VHF band, it turned out, that a new communications network had to be created between the airfields and also the newly created anti aircraft units. 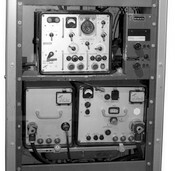 The VHF signals had only quasi - optical propagation, a chain of mountain stations provided relay facilities between the airfields, anti-aircraft units and the Air Force command. These mountain stations were connected by shortwave and microwave links. In the early years, ground stations carried letter designations like "C Station" or "H station", after 1951, they were assigned designations following the SE-0xx naming scheme. A suffix is used for the form of the station, in case an aircraft transceiver was used as mobile or fixed ground station: /m stands for mobile use, /f for fixed use e.g. in a "mountain station" and /t for the portable use e.g. on a improvised air field. My knowledge about military aviation and ground - air and air - air as well as anti-aircraft troop communications is very limited, as I'm a quite earthbound person... - so I hope you can excuse some uncompleteness and will inform me about incorrect informations. I strongly recommend a visit at the Swiss Air Force Museum at the former Dubendorf military airport near Zurich. They have an excellent collection of aircraft for display and have a comprehensive collection of wireless equipment used by the Swiss Air Force and anti-aircraft units. You can recognize pictures taken at the Swiss Air Force Museum as they are in b/w. Some other images come from the collection of a Swiss army radio collector friend who has an excellent and nearly complete collection of all wireless equipment used by the Swiss Army.